Do you have a business near Paudash Lake? 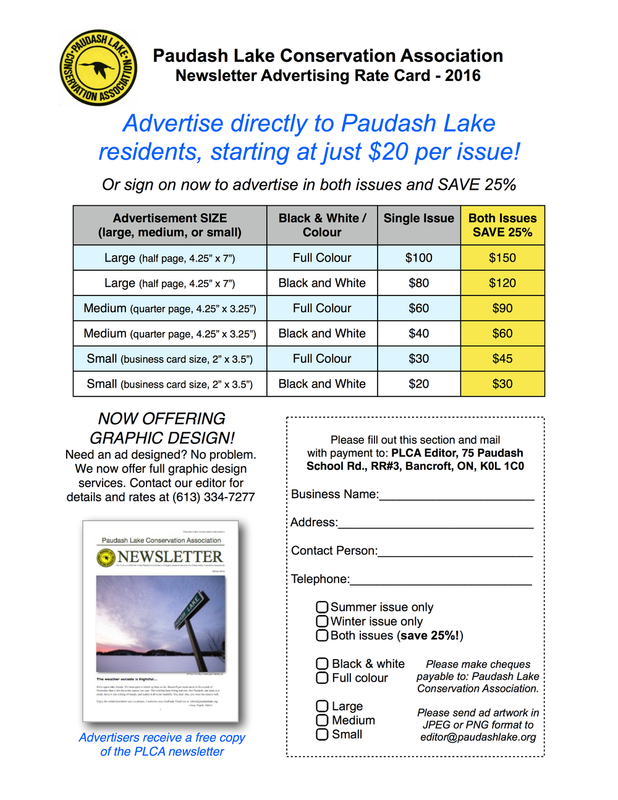 You can advertise directly to Paudash Lake Residents, with the PLCA! Click here to download the rate card and advertiser info form, or scroll down for more details.